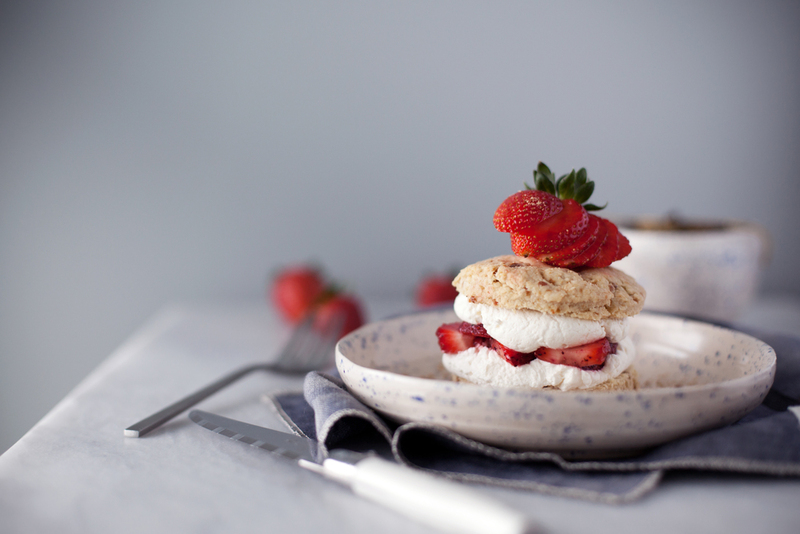 you are probably asking "what is fleur spiced shortcakes!?". well i will TELL you! it is a flower filled spice blend of pink pepper, hibiscus, lavender & rose. it is probably one of the most unique spice blends i have worked with thus far. 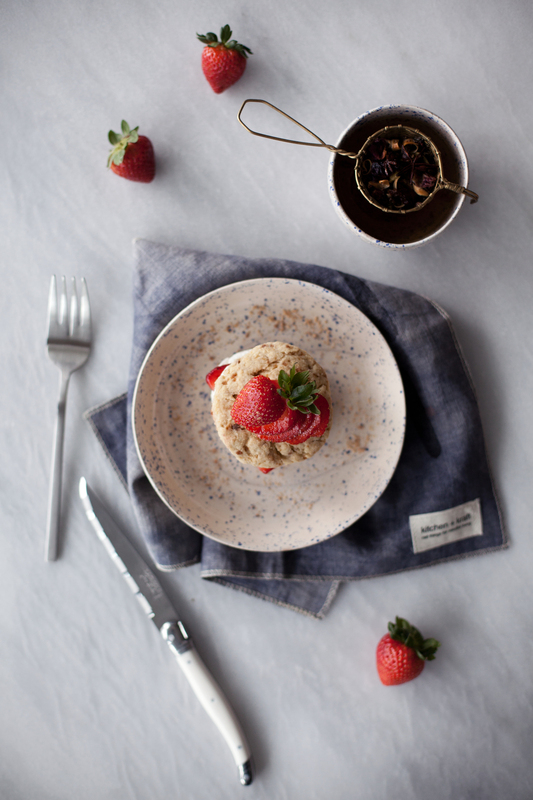 while it can be used in both sweet + savoury dishes, i saw strawberries was one of the recommended fruits & i knew i had to do strawberry shortcakes. i decided to do the classic biscuit style strawberry shortcakes that are portioned individually, because biscuits. 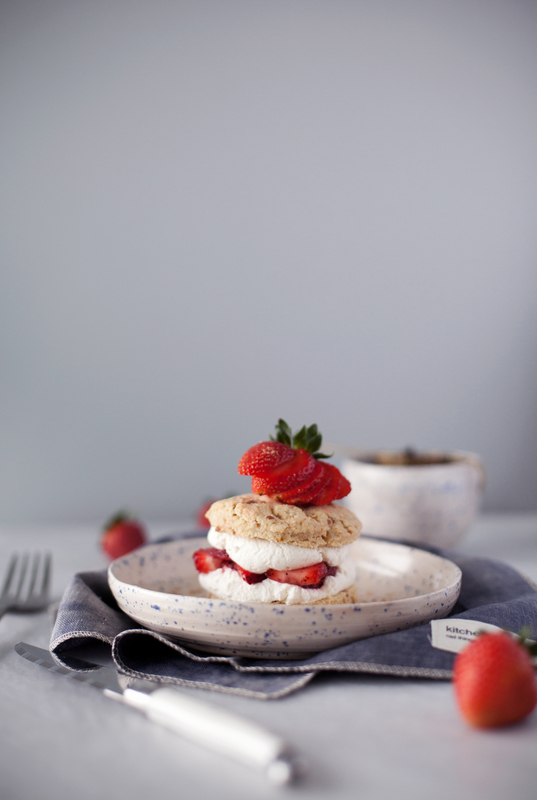 the flakey, buttery biscuit & the sweet whipped cream compliment the fleur spiced strawberries perfectly. i used curio spice co's fleur spice from boston general store. using a mortar & pestle i mixed the cane sugar with the spice blender & ground it down to a very fine powder. i wanted the cane sugar to really be incorporated into the spice & for the strawberries to essentially marinate in the mix. for the biscuits: preheat oven to 375 degrees. in a mixing bowl add the flour, baking powder, salt & sugar. stir until combined. using your hands or a pastry cutter, cut in the butter like you would a pie dough until the mixture is crumbly. add the heavy cream & vanilla and mix until the dough comes together. turn out onto a floured surface, roll out dough to a 3/4 inch thickness & cut into desired sized biscuits. bake for 10-15 minutes, until the biscuits are golden brown. 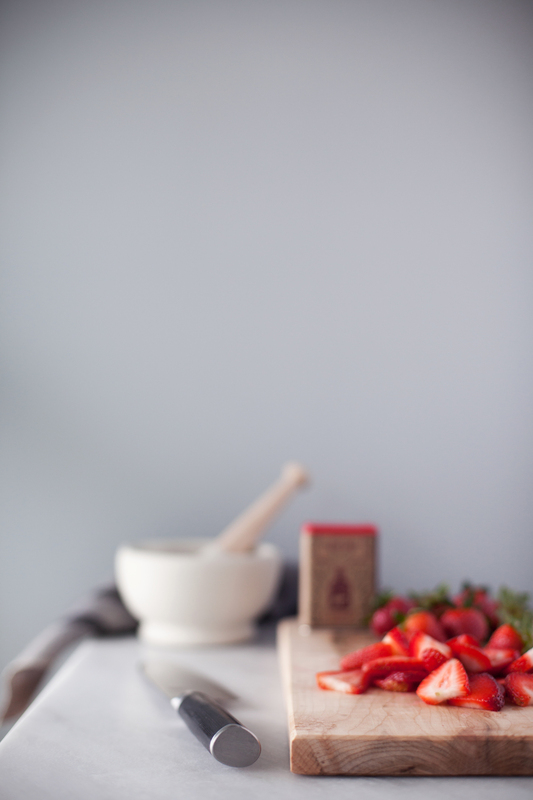 for the fleur spice strawberries: place the sliced strawberries in a mixing bowl. 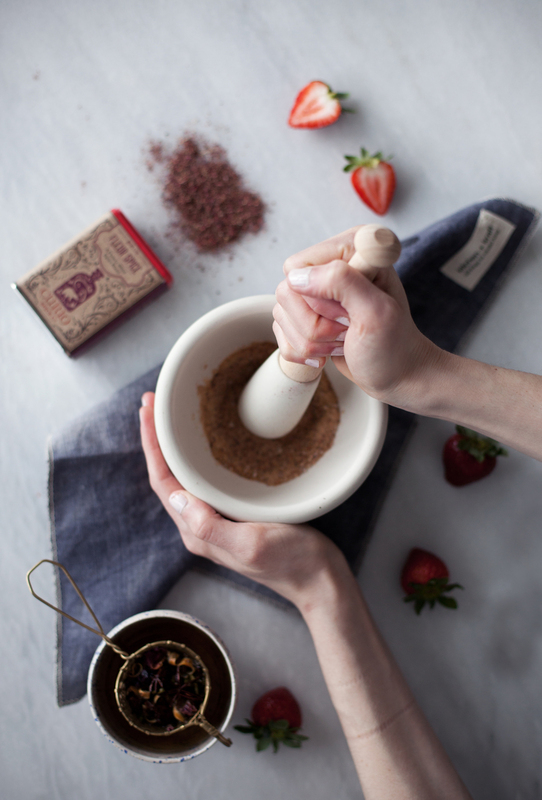 using a mortar & pestle grind the sugar with the fleur spice. add the ground mixture to the strawberries & toss to coat. set aside while you make the whipped cream & let the strawberries soak in the flavours. 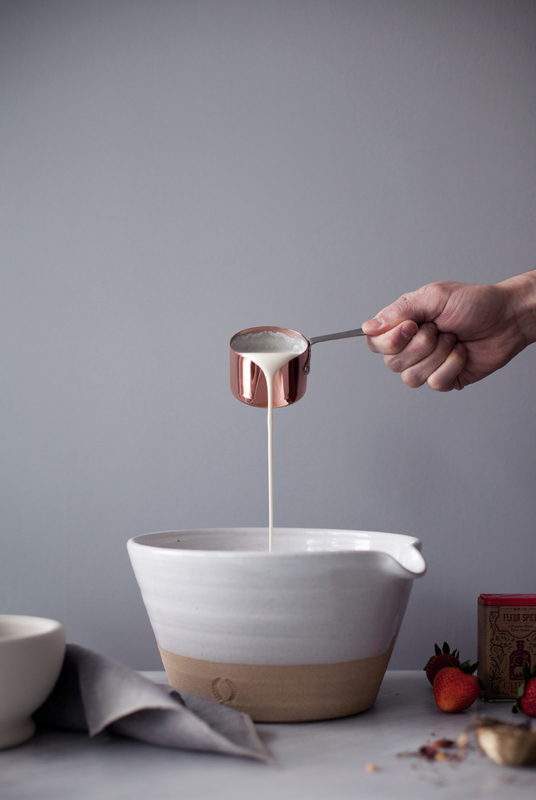 for the whipped cream: in the bowl of a standmixer using the whisk attachment, add the cream, vanilla & sugar. beat until stiff peaks are formed. to assemble: when ready to serve, slice the biscuit in half horizontally. top bottom with whipped cream, strawberries, whipped cream & biscuit top. serve with fresh strawberries & a touch of sugar.